I’m not signing any dumb petition and here is why. I loathe this Walter dentist as much as some of you do and he broke the law in Zimbabwe, and Poaching is a crime worldwide. You also cant ignore the fact that Zimbabwe’s own President Mugabe who is the worlds leading black racist and homophobe wanted to eat Lion at his birthday party that cost his tax payers $1 Million when people there are starving. Hunting game is fine, If you get a trophy from hunting for food, for self defense or when the specific animal population is over the limit, then thats cool and can be fun, but poaching is disgusting. Certain animals are getting extinct, the nay sayers are liars who accuse others of lying and seriously I dont listen to them. Just as there are cases like in Australia, I felt bad at first when I saw people eating Kangaroo Burgers, I love Kangaroos, but Kangaroos are overtaking the place in some parts and ransacking everything in their way, you might aswell turn some of them into delicious burgers, I have no issues with hunting some game. I cannot stand people who eat cats and dogs and lions are CATS dammit! What part of this do some of you losers not understand? 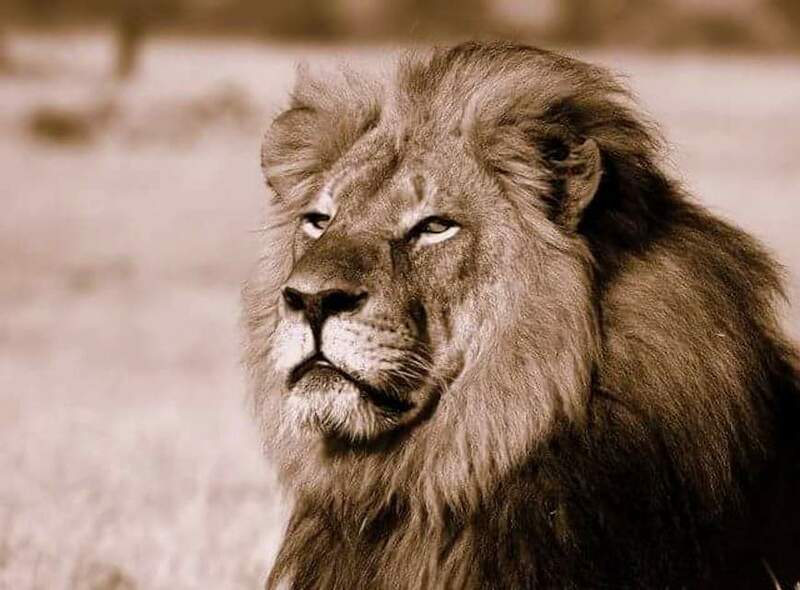 However as an American man Walter Palmer still has rights ok? The US Justice Department is the one to decide according to law what rights he has and since he broke the law in another country they dont need a bloody petition to extradite the crook. He paid 50K to kill the lion, he knew very well who he was killing, he was an experiences African safari hunter for years, he plays innocent and only people who want to defend him pretend to be fooled! He thought oh well its dumb Africa you can get away with anything here. Well no, have some moral values even if you live in hell sir! America is a Constitutional Republic, its a form of democracy but one that protects the right of the one, even if the many want something that takes away the right of the few, this is how the fore fathers designed the constitution, so please learn to RESPECT IT for your own damn good! When you need something done, the law requires you to contact your senator and representative and petition him/her to do something. If the congressperson has enough in his/her constituency even if they go against his/her beliefs they must be taken in consideration. If y’all voted for the right person in the first place it would have been better, but often you dont and then cry baby afterwards, but thats another subject. A petition to the white house can be nice if you’re for it, I’ve signed a few in the past, knowing full well nothing will happen, for example the blogger in Saudi Arabia being lashed to death almost, I supported him, but you really think the White House will persecute or cut relations with the House of Saud over some petition? I didnt think so either. What about the Chattanooga shootings, why isnt the a petition for that? Are the deaths of US Service men worth less than a Lion in Africa? How about an investigation into the Planned Parenthood selling of baby parts, isnt that illegal and happening right in the United States? How about the $18 Billion dollars given as aid to Pakistan, when both OBL and Mullah Omar were given refuge by people there? Why isnt this outraging the rest of you also? Dont be fooled, the white house doesnt care about petitions, there have been many before and nothing was done. They only care because this is a good way to attack people who own guns again. If tomorrow 200 000 people signed a petition to ban gay marriage, the white house would publicly call the petition a hate crime. I personally am not against gay marriage & chances are they are already living together, but the example I am giving is true and you know it! Once again if you follow my work and comments, aswell as some other of my cool ZSA staff we are outraged by the terrorist shootings in Tennessee, the ISIS killings, the Planned Parenthood baby parts selling and many other issues, not like some who have a one track mind and can only get mad about one thing at a time. Just aswell we are outraged by the murder of Cecil, this is a crime against nature itself. I’m all for war & violence when warranted, normally as a last resort when diplomacy fails and killing is a part of it, doesnt mean I enjoy it either. We all need thrills and excitement, adrenaline is something some people have more than others, well if you care so much, join the Military and serve your nation and kill some bad guys, terrorists as our ancestors killed nazis & communist scum! Now thats killing thats well worth it! I love humans, and the purpose of ZSA was to save humans from the zombies, but I also love animals and I dont see any reason to hurt them just for fun, but thats me and I dont push anyone else, but when an animal is extinct or close to humans, I’m sorry but my values tell me to defend the animals also, and I couldnt care less what you think of it because its not your life at stake here ok? Africa is getting plenty of help, they dont need poachers money because thats dirty money and Africa has enough of that going around. Had the money of the people stayed in the hands of honest brokers, Africa by now would be a 1st world nation more or less, but with primitive traditions and tribal conflicts, there is nothing you do that can really bring Africa out of the Dumb Age, except Africans themselves. Yes I’m generalizing, while there are some awesome people in Africa, most of the continent resembles the other parts, I know because I’m was born and live in Africa. Happy 4 Infectious Years to ZSA today! Yay and many more! Join our facebook page today! Yes its already been 4 Years! Only! 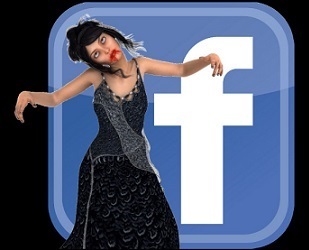 July 24th 2011, was the day after being a fan of the zombie genre for years and then watching the walking dead season 1, the facebook zombie pages enthusiasm was at its best and Facebook was also! 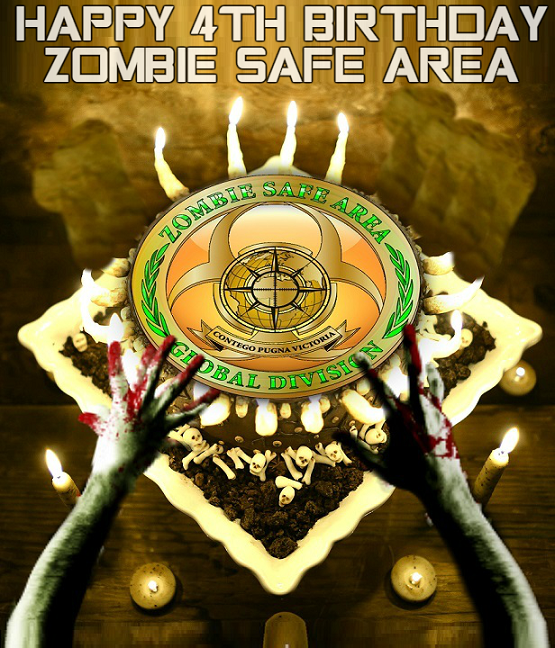 Pages were flourishing and people were happy and I wanted to make a page also and I came up with the name Zombie Safe Area as it seemed original compared to what I was seeing on facebook and it is what most Zombie Survivors need as a base in the ZPOC. Some other zombies pages helped me out when I had just 10 likes, and it went up and later I added some new admins & many new awesome members and it went zomballistic from there. We have had our Ups and Downs but thats life in the Zombie Apocalypse for ya. ZSA thanks you all for making it such a fun ride! Couldnt have done it without all our fans and ZSA family! We Protect, We Fight, We Win! So, how does this all relate to zombies? 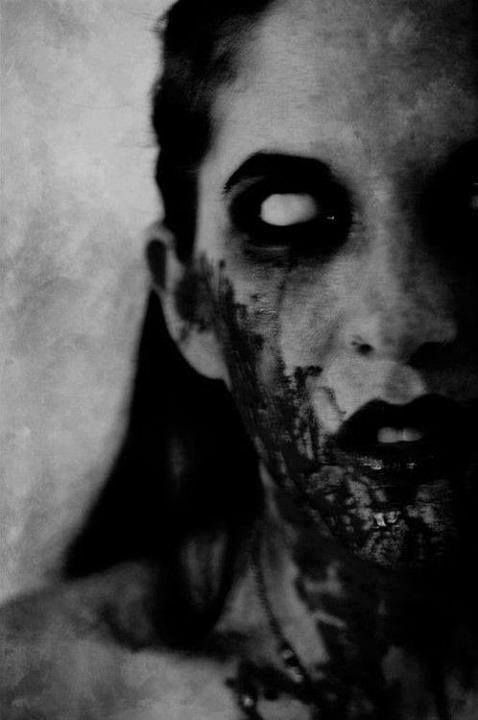 I believe that zombies have become a metaphorical representation of society in the modern world. We have what some call “Sheeple” that seem to blindly follow the media and whatever view of the world they deem fit to air or print. People who have forgone their individual strength in favor of government checks, food stamps and programs. We have sports zombies that can quote team stats to the most minute detail, but don’t know who their representatives are in the state or federal government. We have a generation of video game zombie kids. TV zombies that are more tuned into Americal Idol or Dancing with the Stars than the economic strife and political turmoil going on around them. We have “Occupiers” that gather en masse in cities all over the world with no agenda other than to complain about the rich 1% instead of putting that effort into becoming the 1%. So, when you stop and think about it, we are surrounded by zombies of some sort on a daily basis. Mindless masses going through life on auto-pilot. Now, when we bring all these things together, is it any surprise that the zombie apocalypse sub-culture is growing? More and more people are starting to wake up to the state of the world, the economy, their governments and so on. Many have begun prepping for whatever they perceive as the most pressing threat, but in doing so try to make sure they are prepared for ANY eventuality. Others find that type of prepping to be depressing and/or fatalistic, so just add zombies and it’s a little more palletable. Ironically, zombies also seem to fit their view of the current world condition whether they realize it consciously or not. Zombies, being mindless creatures driven by the basest instincts too feed, this metaphor could apply to those who seem to mindlessly pursue money or power. Those who mindlessly follow the mainstream media or look to the government to fulfill all their needs. Those who mindlessly envy or covet the success and the wealth of others and abdicate their own ability and individual power to achieve. 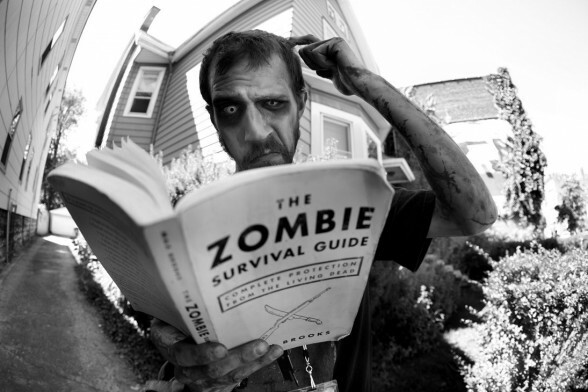 Zombiphiles, from what I have seen, seem to be a combination of self-reliant preppers, gun enthusiasts that foresee government restrictions and fun-loving free thinkers. 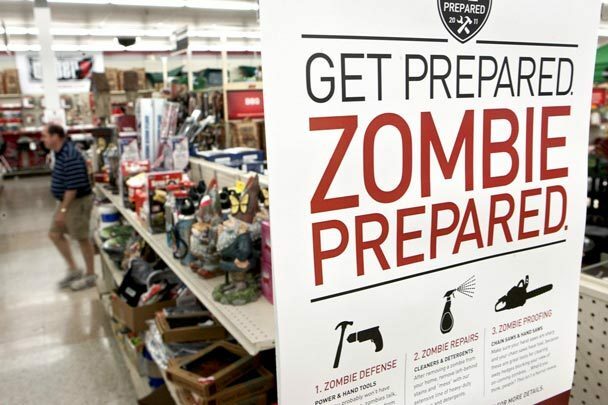 Zombie prep seems to be a fun way to prepare for the worst. Zombie Crawls, zombie themed shooting contests, etc… all seems to put a little fun into serious concerns. That is “Why Zombies?”, zombies represent a metaphorical view of society and put a little light-heartedness into preparing for disaster, be it financial, governmental or natural disasters. For me zombies are definitely a metaphor of society, for others they are just fun and for some they are the ultimate underdog challenge. In America especially, the underdog is an icon, a force to be reckoned with. I believe this is another driving factor behind the rise of the zombiphiles. There is something alluring about a small rag-tag group of survivors facing countless hordes of undead, surviving and slaying the hordes in large numbers. So, that’s my take on zombies, the zombie apocalypse and the rise of a unique sub-culture. Societal metaphor, sense of impending doom on many fronts, attraction to the underdog aspects and just plain fun. 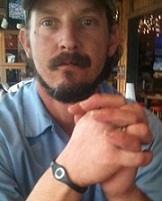 About the author: Jon DoubleTap Britton, has been a ZSA  HQ Commander since 2012 & Z.S.A. Texas Commander aswell. This piece he wrote impressed many of us at ZSA back then in early 2012 when he originally wrote it. DoubleTap also writes for Cold Dead Hands a 2A advocacy organization and Noozaurus website when he isnt huntin down the Undead & other zombie related activities that is. 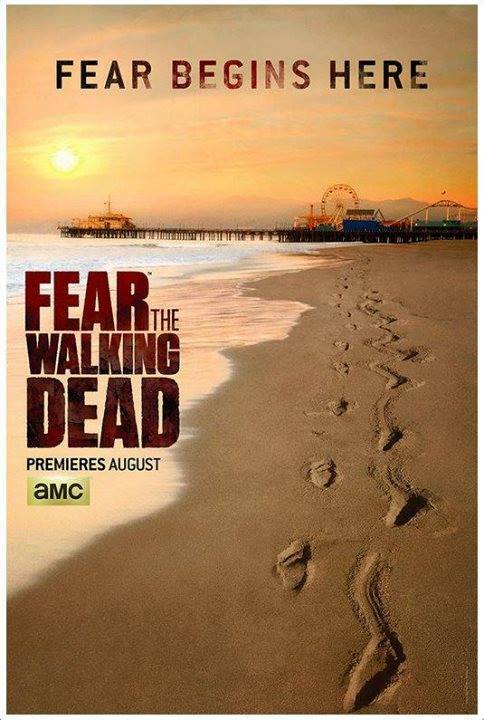 FEAR THE WALKING DEAD Premiere Date Released! 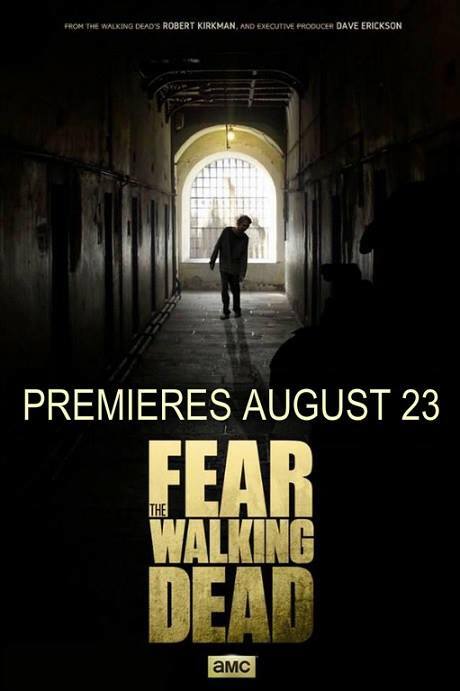 On August 23 the highly anticipated Walking companion series from AMC & FOX called FEAR THE WALKING DEAD has finally a PREMIERE DATE! 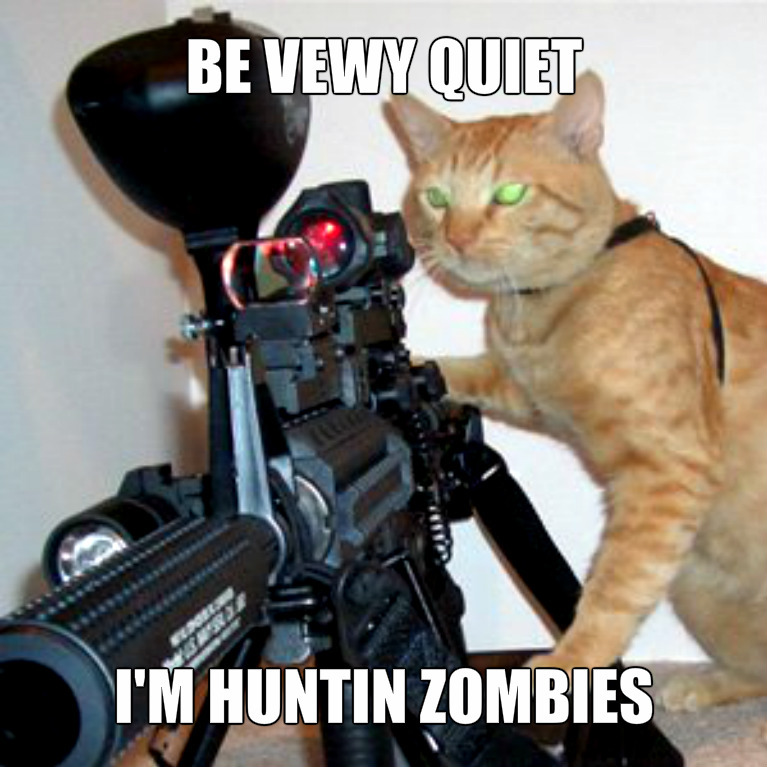 Long has been the wait (and many memes to make fun of) for how the “Walker ‘zombie’ Apocalypse” all started! 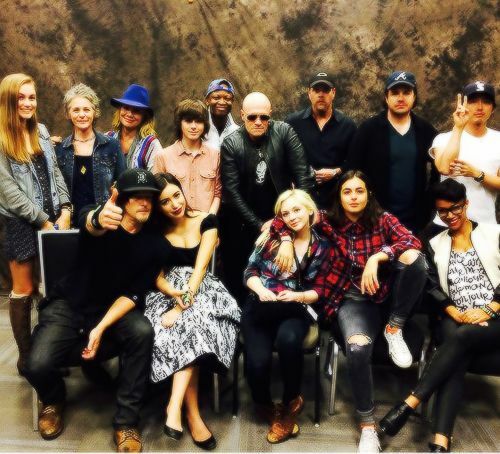 With a complete new set of actors and some surprise guests possibly from the WALKING DEAD original series to cameo also! So far the trailers have been very exciting indeed! 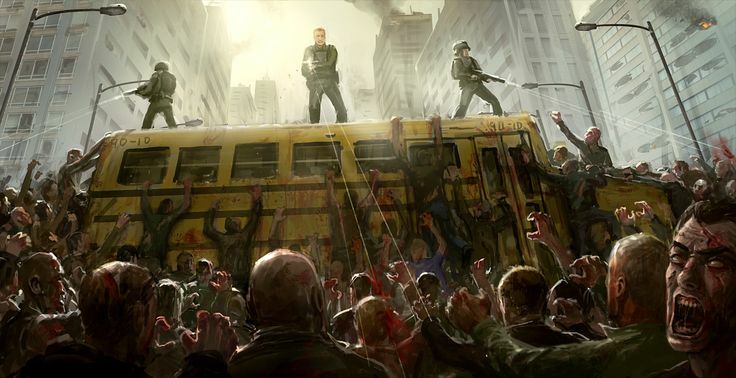 Exactly how we imagine the outbreak to take place, nice and slow…just like the zombies. August 23rd 2015 will be the US & Canadian release date on AMC. August 24th 2015 release date just about everywhere else, Europe, Africa, Asia and Middle East! Not sure about Australia, I imagine the same as rest of the world. Once again here is one of the many exciting official trailers from the show! 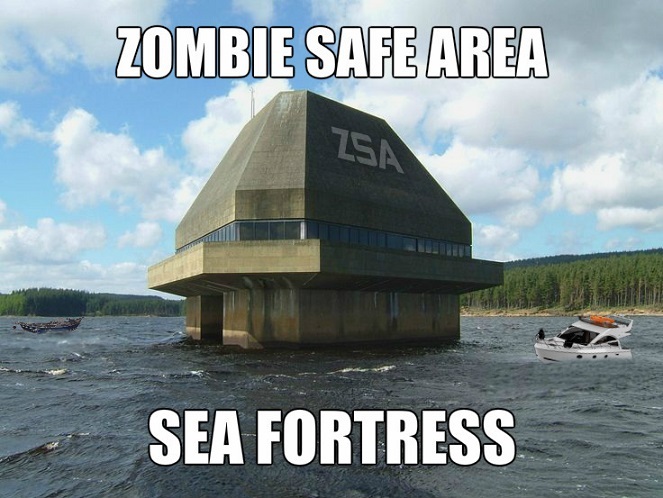 Our objective is to have our survival experts build Zombie Safe Area’s to save humanity. 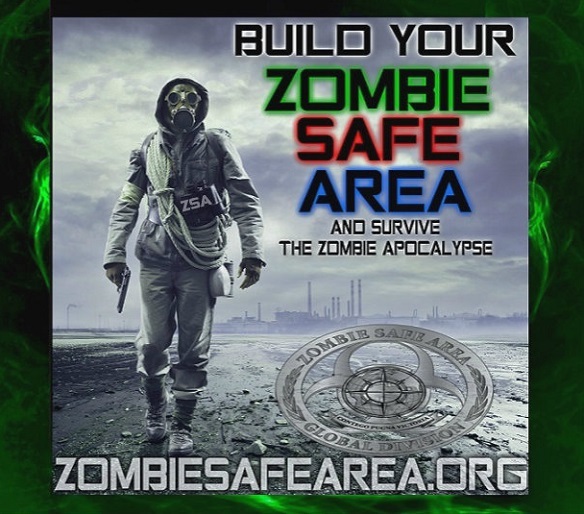 However this endeavor is not easy, so it is fair to say our first option right now is to educate you in fun way to all there is to know about the zombie apocalypse, how to defend yourself, how to survive a zombie outbreak or any kind of natural or man made disaster. For the best survivor is the one who has been trained in self reliance. Group survival comes later. Prepare you and your loved ones today, and be ready when the SHTF! Z.S.A. is here to serve you, and help you all the way through the process! Build your own Safe Area, while we build ours. Brothers and Sisters of the ZPOC, Booyah! 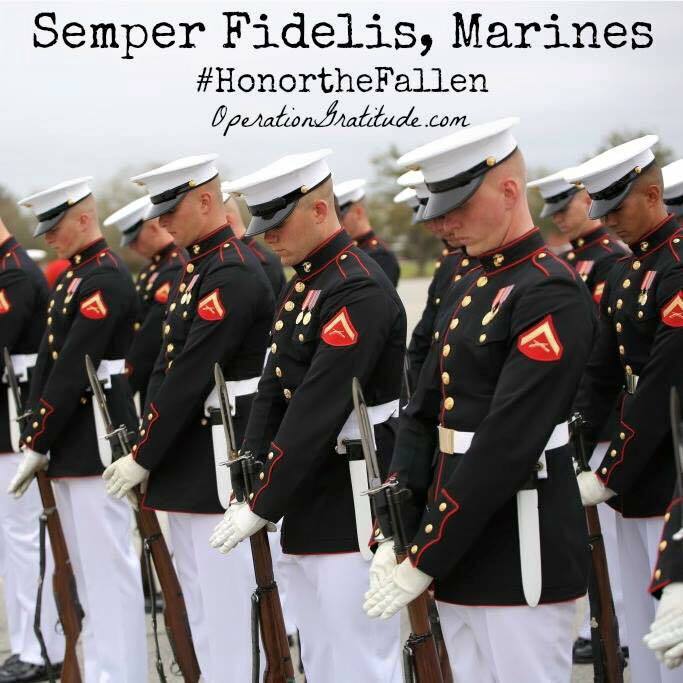 Homage to the 4 Marines Murdered by Terrorist in Chattanooga, Tennessee. 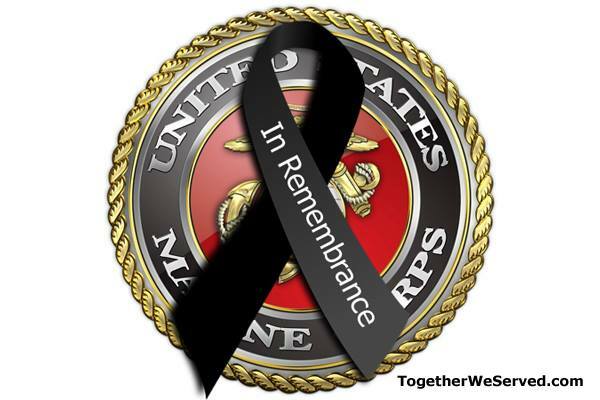 RIP & Semper Fidelis to the 4 U.S. Marines who were murdered by that Islamic Hypocrite terrorist scumbag! Respect to the Police and First Response Teams who did another extraordinary job today and may the injured officer get well soon! In my book ‘You are a terrorist if you attack the U.S. Military” This isnt the first time this has happened, nor the last the enemy hates our way of life and are the enemies of liberty and civilization. Those types of terrorists of any flavor are the same as Zombies and need eradication.